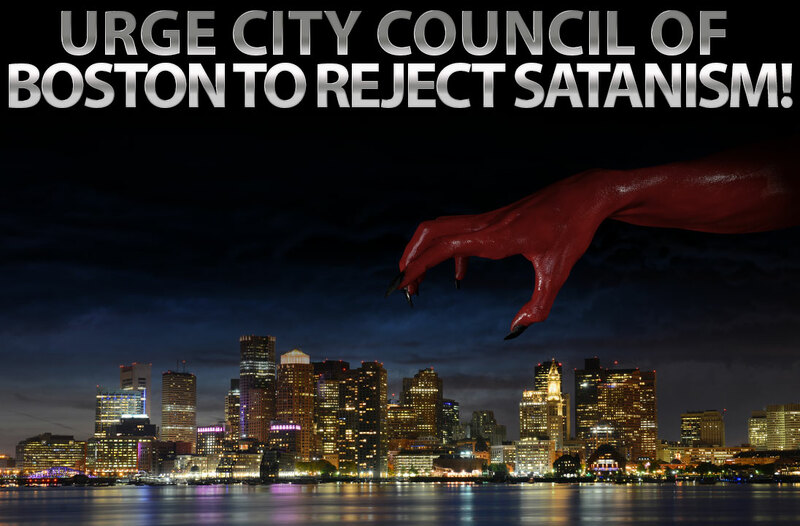 Satanists are urging the City Council of Boston to allow them to deliver a Satanic invocation at the beginning of its meeting. Thankfully, the Council has rejected their request. However, they are undergoing pressure, and maybe even a lawsuit and could cave in if we don't support them. Please sign our petition, urging the City Council of Boston to stand strong and reject the Satanist's attempts to deliver an invocation.